PORTERVILLE, Calif. (KFSN) -- Dora Coronado has been clutching a picture of four-year-old Sophia Caraveo all day after the child's visit to grandma's house in Porterville turned into tragedy. "I haven't eaten, I haven't drank, I'm still trying to go through my emotions." Coronado said her granddaughter slept over Monday and when she went to wake her up Tuesday morning, she wasn't breathing-- paramedics could not revive her. "If I could die to have this change I would, but I can't, so I have to be strong." 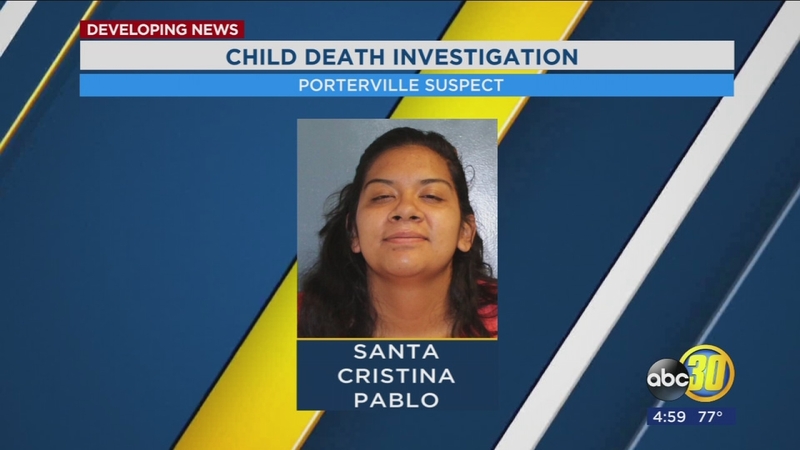 Sophia's aunt, 20-year-old Santa Pablo, is accused of murdering the child by suffocating her to death. Police haven't released a motive but Coronado said her daughter has been struggling recently with mental illness. "Please do not judge her, please do not judge people without knowing them-- the ones that truly know her know how she is." Family members said Caraveo was the happiest child, doted on by friends and neighbors. Now that she is gone they are worried about giving her a proper funeral. "Please be kind, hug your children, hug your grandchildren, tell them you love them," said Coronado. While Coronado has other grandchildren Caraveo was her first, the light of her life-- whose passing leaves behind a much darker world.